Pearl City resident Rose Napoleon caught an Aloha Taxi in New London, Conn. She and her husband, Francis, were on a Holland America Cruise from Florida to Montreal. 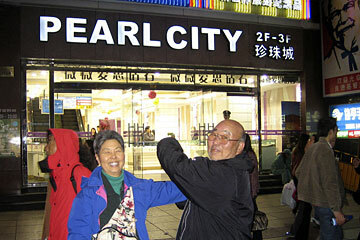 Lari and Roger Yasui of Pearl City knew they weren't home, and yet there it was, Pearl City, in Shanghai, all lit up with neon signs and many restaurants, bars, hotels and shops. 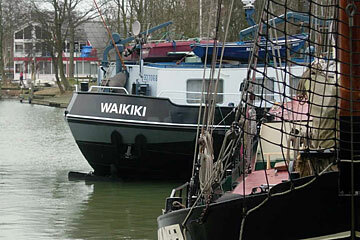 Jane Fee of Honolulu was visiting friends in Hoorn, Netherlands, when she saw this riverboat named Waikiki.